While it’s the culmination of some notes, observations, and reflections over the past few years, it’s a project I think will resonate with many who are wondering if grace can hold the weight of this messy life. 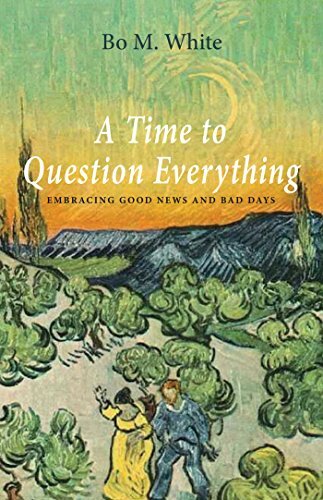 I wrote a book entitled A Time to Question Everything and I wanted to address not only some questions I’ve been reflecting on along the way, but I wanted to also invite you to ask your questions as well. I do think that good news and bad days are not incompatible. And I do think that good news and bad days can both be embraced. Unique to the worldview of the Christian is grace and I dare say it’s more than something that feels good or that is theologically rich. Grace and sacrificial love combine to be what we all need. And that’s what I explore a bit, though in a personal way. It’s available on the publisher’s site and currently on Amazon on Kindle. I’ll post a few more updates soon. In the meantime, thanks for taking a look.